Hosted every Monday by Claire from : Clairejustineoxox and Judy from : Judy-H-JS Thought. Creative Mondays is where you can link up all your fun and creative post each week. Pre heat oven to 180c, 350f or gas mark 4. Grease a medium rectangle oven tray. In a large bowl mix together the margarine and sugar with an electric whisk until soft and creamy. Chop the banana up and place into the bowl, mix again. Place the flour, golden syrup and milk into the bowl and whisk until all creamed together nicely. Spoon into the oven dish, level out with the back of the spoon. Chop the chocolate and marshmallows in half and arrange on to of the mixture. Cook for around 25 minutes until golden brown. Creative Mondays blog hop party has now finished. Please stop by soon and join in the fun every Monday. 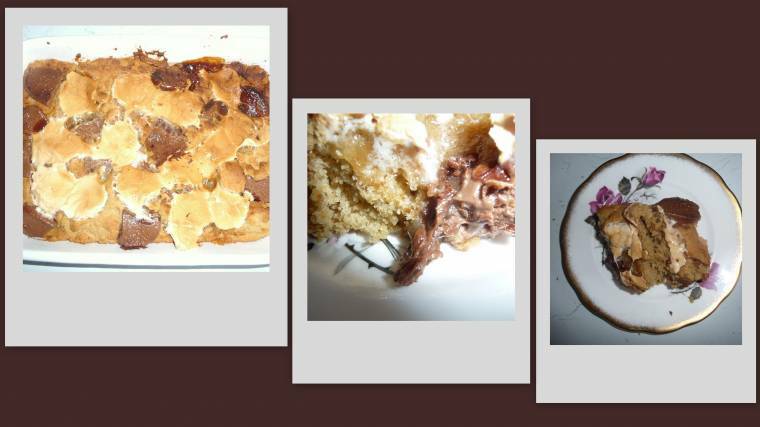 "Share Your Style Saturday Blog Hop…"
"Click And Collect With Matalan"
This looks yummy Clairejustine. I have never eaten banana S'mores but it should not be difficult to make them as we have bananas in Jamaica and on my farm! :) Thanks for sharing and it is good to be co-hosting again. I love the new button you made! Take care and enjoy the rest of your day. Don't forget to save me some!! Thank you for hosting again. I'm just curious: does anyone actually title blog entries with only 15 letters, as permitted in your linky? It's so hard to think up ways to shorten the entry title!